PC protection using computer enclosures for security and protection of pc hardware. Computers are designed to sit on desktops. If you have to put them in a factory, warehouse, chemical plant, food processing plant or any other harsh environment without protection then your asking for trouble. Breakdown, loss of data, the need to replace equipment…it all can be an expensive business. 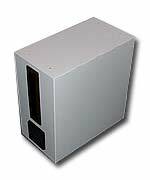 PC protection using PC Guard is the cost effective way to extend the life of a standard Tower or Desktop Processor unit in hostile situations. PC Guard's PC protection is made of steel to protect your PC’s against physical damage. 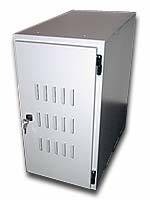 The PC Guard Computer Processor Unit is fully assembled by us, with all doors, locks and fan fitted. This means you can install and use your processor within minutes. PC guards waterproof Enclosures are designed specifically for pc protection in food processing and pharmaceutical companies. 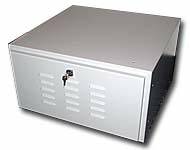 The PC-Guard waterproof enclosures are made from 316 Stainless Steel, are sealed to conform to NEMA 4 and IP65 specifications. This means Jet washing them clean will in no way affect your computers thus keeping it clean and safe.